Warner Brothers will remake the 1973 killer robot classic "WESTWORLD". The original film from Michael Crichton created a Wild West Fantasyland, where life-like androids look, act and talk like the real enchilada, with Peter Martin (Richard Benjamin) and John Blane (James Brolin) as two businessmen enjoying the ultimate excursion. 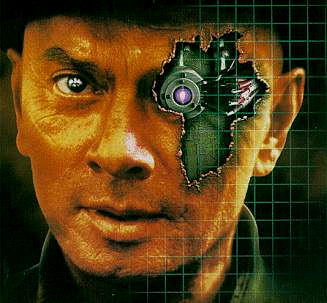 But when a programming error causes the town's residents to turn deadly the two must square off against a strong-willed steely-eyed terminator-type gunslinger (Yul Brynner) who's determined to bring their vacation to a conclusion. Writers Richard D'Ovidio and Channing Gibson continue developing the project with producer Joel "Lethal Weapon" Silver, for Silver Productions. From Jurassic Park author Michael Crichton comes an excellent (Variety) ingenious (Pauline Kael) four-star (Video Movie Guide) sci-fi/thriller set in a futuristic amusement park where robots cater to your every whim... until something goes horribly wrong! Yul Brynner Richard Benjamin and James Brolin star in Crichton's stunning directorial debut which bristles with excellent special effects (Box Office) edge-of-your-seat suspense explosive action and powerful performances. Both fascinating and terrifying Westworld is unlike anywhere you have been before. Peter Martin (Benjamin) and John Blane (Brolin) are two businessmen who embark on the vacation of their lives in Westworld an entertainment complex where guests can indulge their wildest fantasies in a recreation of an 1880s frontier town complete with an amazingly lifelike robot cast. But when a programming error causes the androids to turn deadly Peter and John are hurled into a horrific battle for their lives. Their chief opponent: a gunslinger (Brynner) who is as lethal as he is unstoppable. As the deadly robot zeroes in on its prey the stage is set for an intense terrifically exiting battle between man and machine in which only one can survive! Rated PG. Closed captioned. Stereo. NTSC format. Color.